The doctors and staff at Children's Urology Group pride ourselves in providing patient care in a compassionate and professional manner. We strive to give the best possible support to our patients, their families, physicians and our employees while maintaining a friendly and respectful environment. Children’s Urology Group specializes in treating all conditions of the urinary and genital in boys and girls, no matter how simple or complex. Our physicians are fellowship trained as pediatric urologists and urologic surgeons and are devoted to meeting the urologic needs of infants, children, and adolescents. This commitment is also echoed by our extraordinary clinical and administrative staff at Children’s Urology Group. Urologic abnormalities are among the most common pediatric health care concerns in the United States, affecting millions of children each year. To address these concerns, Dr. Dennis Hoover established Children’s Urology Group in 1987 with the dream of building a family-friendly team devoted to the diagnosis, treatment, and management of urologic conditions in children. His dream has been realized and thousands of children each year benefit from our team’s special training and ability to examine and treat children in a friendly, approachable manner. One of our physicians is available twenty-four hours a day to assist patients and their families. Children’s Urology Group’s sole focus is the care and comfort of your child. We use equipment specifically designed for children and we have arranged and decorated our offices with your child in mind. If services are required outside of the practice, they will be performed by other physicians and/or facilities that routinely provide care to children and where your child comes first. 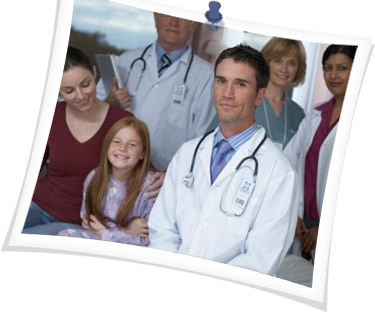 All medical care is coordinated with the patient’s general Pediatrician or Family Practitioner. We provide laparoscopic and minimally-invasive surgical services for a variety of urologic conditions, including intra-abdominal undescended testicles, varicoceles, inguinal hernias, laparoscopic antegrade continence enema (ACE) procedures, laparoscopic removal of kidneys, Ureteropelvic Junction Obstruction (UPJ) obstruction corrections, and treatment of kidney stones. Dr. Polsky does a variety of minimally invasive and laparoscopic, robotic surgical procedures using the DaVinci Robot®. Whether “simple” or “complex,” your child’s urologic condition is best treated by a pediatric urologist who routinely handles these conditions. Children’s Urology Group is proud to provide your child with expert urologic care at one of our many locations throughout the West Coast of Florida.